← Change your Facebook profile picture to a cartoon and help protect children. How does that work then? I love living in London. 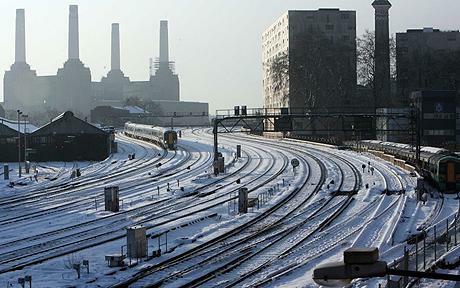 Even though the tube is dirty and crowded, people don’t talk to each other, its expensive, grubby and the transport system is so ineffective that all it takes is a few snowflakes to bring the entire city to a halt. I still love it though. There is so much to do. It’s a hub of inspiration if you just take time to explore and notice more. A few weeks ago I went to The Wellcome Collection High Society. All about drugs. High Society examines the history of drugs from their plant origins, their use as medicines and to today’s international drugs market estimated by the UN to be worth £200 billion a year. It’s fascinating that very few people live their lives without using some form of mood altering substance, whether its gin, cocaine or a cup of coffee. Drugs are used across the world for recreation, religious, medical, scientific experimental reasons or just pure entertainment. They offer an escape from daily life or an enhanced understanding of what it means to be human. Many are addictive. What is an addiction though? A failure of willpower, a physical disease or a coping strategy for problems beyond the individual’s control? The perceived wisdom about drugs varies from culture to culture; a Religious sacrament in one culture can be a public health problem in another. There is a close link between social interaction and use of drugs, the fundamental dynamic of a group interacting with a behaviour altering substance draws many parallels, for example a social glass of wine after work, to more formal group rituals as explored in Tribe. Although most drugs, rightly or wrongly are tested on animals, drugs that alter your consciousness can only be fully described by human subjects and its intriguing that we are still unable to explain why each persons experience is so different. Our perception of drugs over time have also changed. Opium originated in central Europe and for centuries was the most effective painkiller and main ingredient in many patented medicines. Even compare smoking adverts and health warnings from the 1950s compared to now, the difference is staggering. 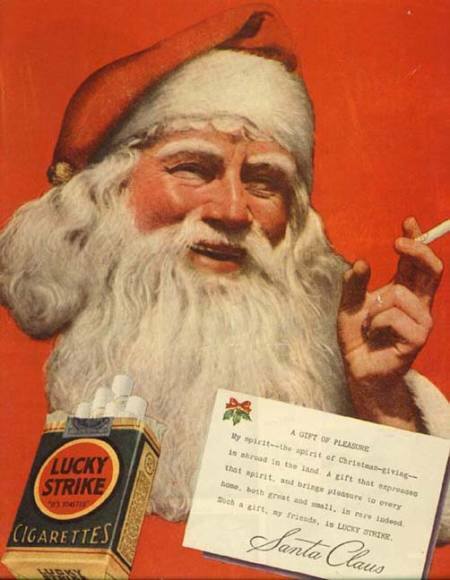 Santa was a smoker! The Wellcome Collection is a fascinating place, with a great coffee shop for the caffeine addicts amongst us. The subject of drugs and addiction is out of my normal frame of reference, discounting drinking too much wine on a weekend. But that was the whole point in going. I don’t know yet what connections this new experience will influence. But I do know that if you want to have good ideas you have to open yourself to more experiences, break existing patterns and dare to notice more. We know that good ideas come from a series of connections, or hunches over time that combine in new ways. So whether you take drugs to feel, see and notice more or not, I challenge you to make the most of what your environment has to offer. I dare you to get out there and start noticing more today. This entry was posted in drugs, Innovation, Inspiration, Life and Death, love, relationships, travel, Uncategorized and tagged addiction, bruce parry, challenge, coffee, drugs, entertainment, environment, escape, explore, ideas, Inspiration, interaction, london, medicine, mood altering, notice, opium, patterns, perception, recreation, religion, santa, smoking, snow, social, transport, tribe, wine. Bookmark the permalink.